Meet todays demanding professional workflows with GPU accelerated ray tracing, deep learning, and advanced shading. 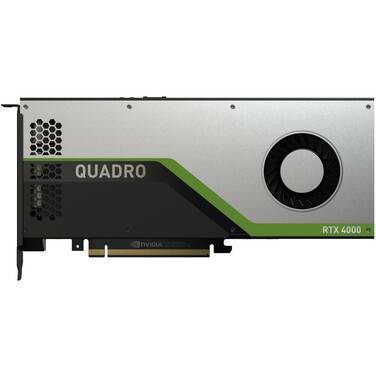 The NVIDIA Quadro RTX 4000, powered by the NVIDIA Turing architecture and the NVIDIA RTX platform, delivers best in-class performance and features in a single-slot PCI-e form factor. Design and create like never before with faster time to insight and faster time to solution. 1 x USB-C (Virtual Link), 3 x DisplayPort ONLY WHILE STOCKS LAST! Meet today’s demanding professional workflows with GPU accelerated ray tracing, deep learning, and advanced shading. 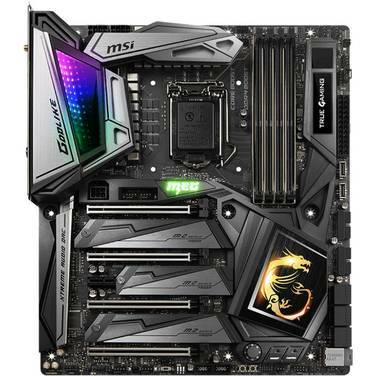 The NVIDIA® Quadro RTX™ 4000, powered by the NVIDIA Turing™ architecture and the NVIDIA RTX™ platform, delivers best in-class performance and features in a single-slot PCI-e form factor. Design and create like never before with faster time to insight and faster time to solution. 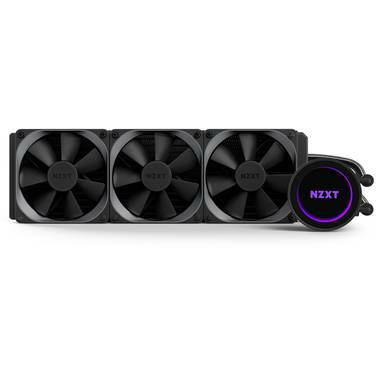 The Quadro RTX 4000 is designed, built, and tested for demanding professional visual computing workflows. 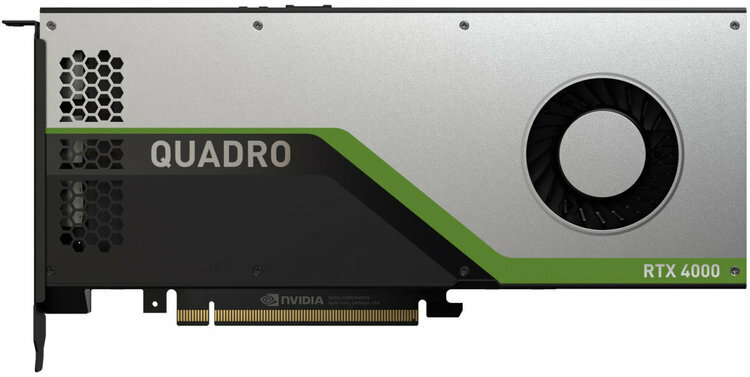 Validated in OEM workstations and certified for professional software applications, Quadro provides the performance, stability, and reliability required by professionals.